Windows Phone mobile platform officially cancelled after years of struggle. Microsoft has officially confirmed the end of its Windows Phone smartphone offering. The news was revealed by Microsoft Experience head Joe Belfiore, who said in a tweet that no new Windows Phone devices were in the works. "Of course we'll continue to support the platform.. bug fixes, security updates, etc. But building new features/hw aren't the focus. :(" he tweeted. 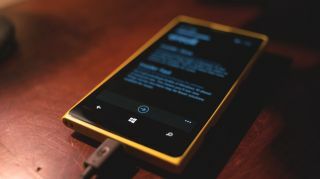 Windows Phone has now been put into "service mode", meaning that Microsoft will continue to offer support and security patches, but no new development. The news came shortly after the last significant device to run the software, the HP Elite X3, was discontinued by the manufacturer last week. However Windows Phone had been struggling for some time, as the company's devices failed to keep up with the likes of Apple's iPhone and the explosion in Android-powered devices. Microsoft launched Windows Phone back in 2010, with several other versions following, up to Windows 10 Mobile in January 2015. The company hoped to boost its mobile offerings with the acquisition of Nokia's Lumia device line back in 2014, but the devices never really took off, with Microsoft having to write off major losses on its acquisition last year resulting in thousands of job losses. There have long been rumours of a so-called "Surface Phone" mobile device to compliment Microsoft's existing Surface Pro and Surface Laptop lines, but so far no concrete evidence has been found.